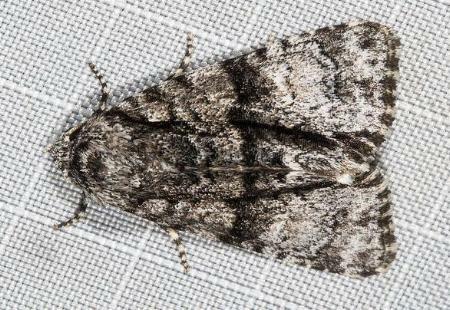 The forewings of the adult moth each have a complex grey-brown pattern, including a dark irregular band across the middle. 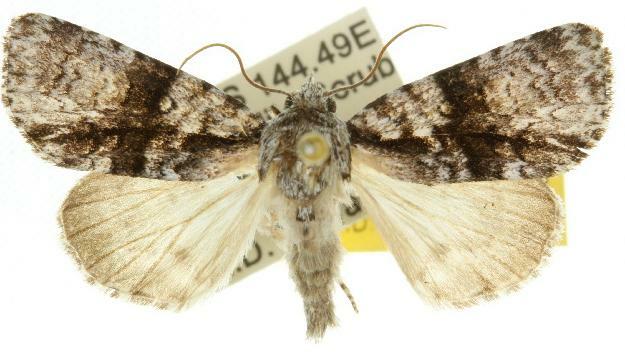 The hindwings are pale grey-brown with dark margins. The wingspan is about 3 cms. Volume 28 (1904), p. 215.